Stylish window dressings may greatly enhance the overall look of any room, be it a bathroom or a bedroom. Superior plantation window shutters often allow you to control the amount of light and reduce the ambient noise from the outside. 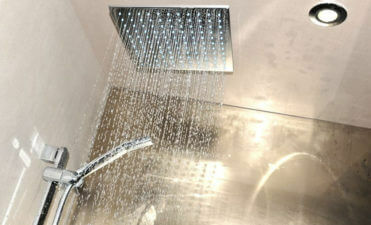 With a great number of models available in the market choosing the most suitable solution may be a daunting task. When choosing new shutter sets it is advisable to do research, determine your style preferences and pick the right material. Do online and offline research before going shopping for reasonably priced shutter sets of top quality. Attend several design exhibitions and flip through popular magazines to find out more about the style and colour of trendy window dressings. It may be beneficial to refer to friends and relatives for suggestions and ask them to evaluate your own ideas. 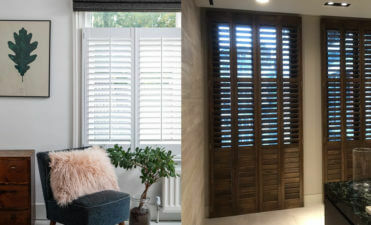 If you still can’t make up your mind, switch on your computer and surf the web to find high quality plantation window shutters at attractive prices. Browse established sites of different designers and retailers to get some solid ideas about the latest trends and visit price comparison sites to find options that don’t break the bank. Contemporary shutter sets come in a variety of styles like full height, tier-on-tier, tracked, solid and café-like. 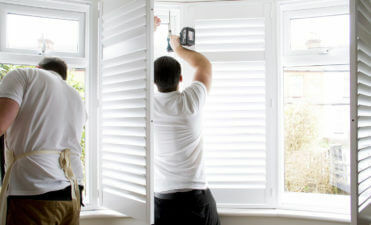 Full height shutters cover your windows from top to bottom adding some security to your home. Tier-on-tier models featuring splits in panels are considered to be convenient solutions as you can open top panels independently from bottom ones, controlling the amount of light and ventilation. Tracked systems like bifold and bypass ones are great solutions for large windows and balcony doors. Solid shutter sets are more suitable for those who are looking for traditional sets that ensure privacy and add a classy feeling to your room. 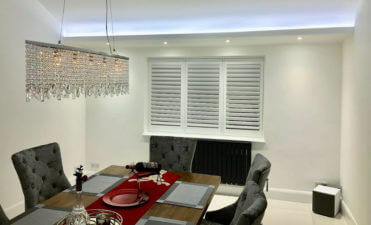 If you are looking for superior plantation window shutters for living rooms and kitchens choose café style solutions that cover the bottom half of your window offering maximum privacy and light. When it comes to materials, there are numerous options ranging from different wood types to aluminium and PVC. If you are looking for models made from durable wood pay attention to highly sustainable shutter sets made from poplar, basswood and cedar. Wooden shutter sets are universal solutions as they come in stained or painted finishes suitable for different interiors. Aluminium window dressings are very functional and versatile options suitable for both houses and offices. It is interesting to note that aluminium models are often considered to be the most stylish products in the range. 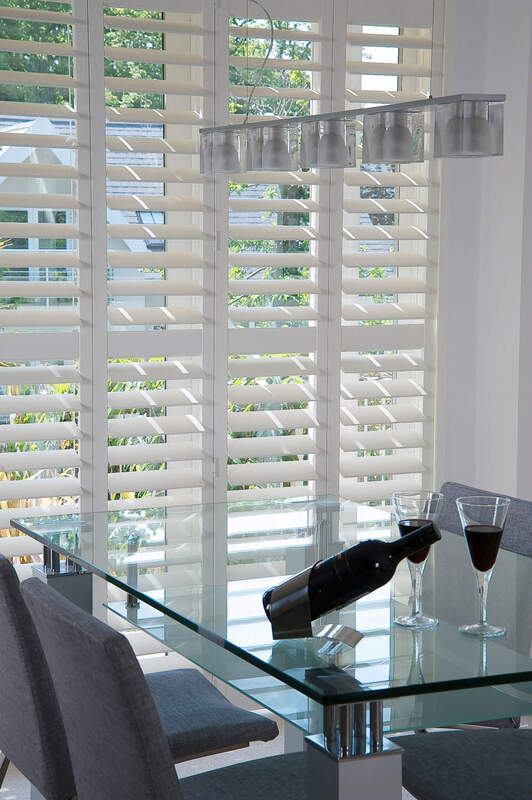 Suitable for kitchens and bathrooms, PVC plantation window shutters are specifically designed to prevent any bowing within a dump environment. 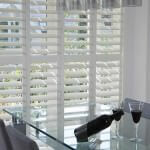 PVC models are the most affordable options which makes them viable alternatives to other shutter sets. In conclusion, it is important to point out that contemporary designers offer a great assortment of window dressings. In order to choose the right solution for your home, it is advisable to do online and offline research, determine your style preferences and pick the most suitable material.